As the first of the Legendary Pokemon, Articuno, left Pokemon GO last night (Lugia will remain) a new Legendary swooped in to take its place. Team Valor’s mascot Moltres is the next Legendary Pokemon to come to Pokemon Go. 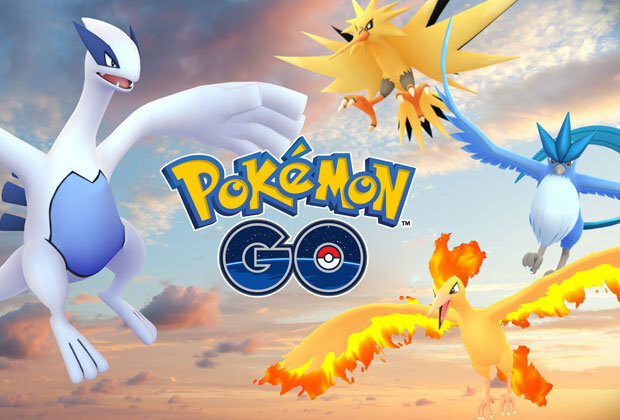 Players will have from July 31 to August 7 to catch Moltres, a Fire/Flying dual type that should present a unique challenge for trainers in Raid Battles. Moltres was rumoured to arrive around midnight last night in the UK although sightings of him were and unconfirmed. However, this morning was a different story. One of the trainers in my local Facebook group actually caught him on the first attempt at 7 am and I myself defeated yet, unfortunately, failed to catch him at 8 am. The location of both raids was just streets apart and only an hour apart which suggests it won’t be too hard to find a Moltres raid yourself. As for tips on defeating him, it has been suggested that Moltres has a double weakness to rock type Pokemon so get those Gravlers powered up and ready. The two I personally witnessed this morning was over 40k in CP so it’s probably best to have a raid team of at least 5 people. If you’re struggling for a raid team then Facebook is probably the best place to find a raid team in your area. Pokemon go has had a lot of stick over the last year for a varying number issues and it didn’t get any better at its first annual Pokemon GO festival But I genuinely feel that the new raid and gym system has added a much needed multiplayer element to the game. I just wish they would hurry up and introduce trading and trainer battles. Next articleExactly why did Facebook shut down it’s AI experiment?